The titular character in THE SECRET LIFE OF WALTER MITTY is a shy, soft spoken guy who works at LIFE magazine overseeing the negatives for all the photos (at least the ones still taken on actual film) submitted for publication. Walter's (Ben Stiller) father died when he was only 17, leaving him to assume the role of chief breadwinner and head of the family. Years later Walter still fulfills this role for his aging mother (Shirley MacLaine) and happy-go-lucky sister (Kathryn Hahn). Apparently this necessitated Walter giving up all vestiges of a personal life, so to make up for his dreary existence he frequently drifts off into vivid daydreams where life is an adventure and he's the hero. In the real world, Walter is interested in his co-worker Cheryl (Kristen Wiig) but can't work up the courage to talk to her. Instead he joins dating website eHarmony (just one of the many product placements in the film) where he knows Cheryl has an account. Sadly Walter's life is so lackluster he doesn't have enough material to create an acceptable profile for the website, thus preventing him from so much as electronically “winking” at the object of his affections. It takes the looming threat of being downsized and the need to find an important negative intended for the cover of Life's final issue to give Walter the push he needs to start living in the real world. Much of this has very little to do with the original James Thurber short story it is ostensibly based on. 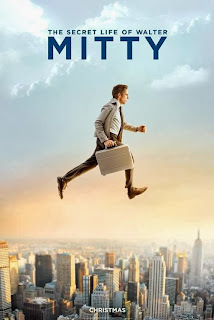 The Secret Life of Walter Mitty was a satirical piece about a put upon nebbish who retreats into his daydreams to escape the abuses of his overbearing wife and the general ennui of his existence. The story is considered a masterpiece of sorts, but it really doesn't have much of a plot that one could turn into a movie. To compensate for this, screenwriter Steve Conrad conceives of a way to turn Walter into some kind of adventurous go-getter, completely undermining the point of Thurber's story (the 1947 film version starring Danny Kaye tried a similar tactic, turning Mitty into some sort of secret agent). There's still some small amount of the source material present. Early in the film, we see Walter slip into his heroic daydreams, but even these bear little resemblance to the daydreams in Thurber's story. This is a modern Hollywood movie, dammit. We have to go bigger. 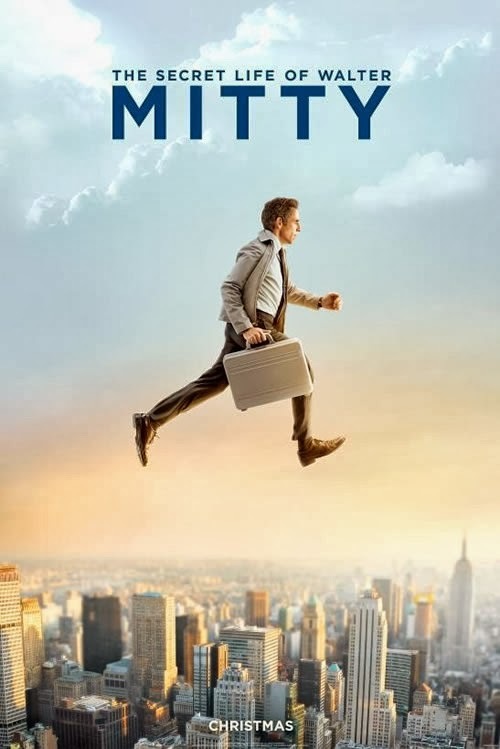 So in Stiller's MITTY, the fantasies are realized with a level of action and special effects worthy of the next Marvel Comics film. However, the majority of the film's running time is taken up with Walter's real world quest to track down photographer Sean O'Connell (Sean Penn), who he believes still has the missing negative. The problem is, these supposedly real adventures are just as implausible, if not moreso, than anything we've seen in Walter's imagination. It's painfully obvious that Stiller (who also directed) is going for the Oscar here. He takes what should have been a modest comic feature and tries to twist it into an epic through sheer force of will. If he were capable of pulling such a feat off, then more power to him, but Stiller just doesn't have the chops. His film is self indulgent and poorly paced, and it can't seem to make up its mind if it wants to be a comedy or go for something deeper, ultimately failing on both counts. Adding to the film's annoyance factor is it's secondary theme about the evils of big corporations. Not that I disagree with that view most of the time, but given the gratuitous product placements for Papa John's, Cin-a-bon, and the aforementioned eHarmony, it's hard to see this as anything but hypocritical. In fact, the movie goes beyond mere product placement to give ringing endorsements for all three companies. I thought Adam Sandler's JACK AND JILL was bad in this respect, but at least in that film he was playing a guy who worked in advertising, so it kind of made sense. Here, it just feels like someone dropping a commercial into the movie every few minutes. I did enjoy Kristen Wiig as Mitty's love interest, and despite the absurdity of the real life adventure plot, the scenes with Stiller and Penn kind of work. Those positives account for far too little of the film's almost two hour running time to make much of a difference, though. Making it to the end of this film may not be quite as difficult as the gauntlet its protagonist has to run, but it's far from a pleasant daydream. 2 out of 4 stars.